With the energy boom creating an explosion of high-wage job growth in oil-rich parts of the state, finding and keeping prison employees has become difficult in those regions. This story is part of our Shale Life project. This story is part of our Shale Life project. Watch this slideshow to see how prisons are working to hang onto corrections officers. BEEVILLE — Seventeen soon-to-be corrections officers in blue and gray uniforms listened attentively as Major Robert Lopez explained the importance of their professional appearance and warned them of the corrupting influences they will face every day on the job. “Corrupt employees may try to compromise the integrity of professionals,” the Texas Department of Criminal Justice trainer told his mostly young recruits — nine men and eight women — during a training session here in South Texas in October 2013. What Lopez probably knows that these budding prison guards do not is that most of them won’t be employed in the criminal justice system long enough to be corrupted. Turnover among corrections officers has been on the rise statewide since 2006, according to department data. And in South Texas and other oil-rich regions in the state, where the energy boom has sparked an explosion of high-wage job growth, finding and keeping prison employees has become difficult. The desperation to retain employees has prompted an unusual approach at one South Texas prison unit, which is offering dirt-cheap on-campus housing — as low as $25 a month — to make the cost of living in such nouveau riche communities manageable for its employees. And Department of Criminal Justice officials plan to offer similar options at prison units across the state in oil-rich regions. Such recruiting tools are fast becoming a necessity. At the William G. McConnell Unit in Beeville, the turnover rate skyrocketed from 28 percent in 2006 to 62 percent in 2012, according to Department of Criminal Justice data. As turnover spiked, so did the rate of violent incidents in the prison, growing from about 12 incidents per 100 inmates in 2006 to more than 30 incidents per 100 inmates five years later. 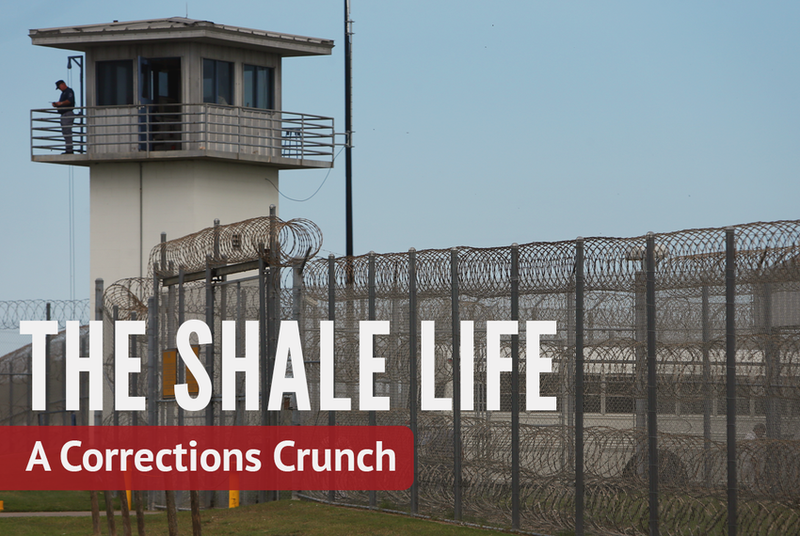 It’s a trend mirrored at other prison units across the state that are near shale deposits and the refineries that process the oil harvested from them. “We can’t compete with the private sector in these critical areas,” said Bill Stevens, the director of the department’s correctional institutions division. Despite lawmakers’ approval in 2013 of a 5 percent pay bump for corrections officers and the department’s efforts to increase recruiting with bonuses and housing perks, agency officials and the officers’ union say the state just can’t compete with what energy companies can pay. It’s not only about the money; officers and prison condition experts say that the difficult working environment guards face contributes to their high turnover rate. That high turnover rate creates a domino effect that makes it even more difficult to retain prison staff: The remaining officers must put in longer hours, and the lower guard-to-inmate ratio means violence among offenders grows. “All of these factors feed on each other,” said Michele Deitch, a prison conditions expert and professor at the University of Texas at Austin’s LBJ School of Public Affairs. The Department of Criminal Justice currently has 3,304 corrections officer vacancies throughout its 109 prison units, even after the closure in 2013 of two privately run facilities. Statewide, the agency has left roughly 1,400 prison beds empty since 2012 because of staff shortages. As he walked across the campus of the Garza East prison facility in Beeville, Cody Ginsel, who earlier this year served as the director of institutions for the department’s Region 4, listed off the staffing numbers at the South Texas units he oversees. More than 20 percent of the positions are vacant at the Garza East, Garza West and Connally units. At the McConnell Unit, the vacancy rate is 35 percent. Ginsel stands next to 40 freshly graded RV lots on the edge of the prison campus, where khaki-colored boxes that hook up water and electricity stick out of the ground. It’s here, in the shadows of concertina wire and watchtowers staffed by armed guards, that the department is building a small RV park — where for $25 a month, officers will be able to pull up their trailers and live on-site. There’s already a waiting list for the 188 “bachelor officers quarters” on the prison campus, a converted naval base. Up to four officers share the small, dorm-style rooms that the department rents to them for the same $25 monthly fee. Unglamorous though the living quarters may be, Ginsel said they are much more affordable than the rent in nearby towns, which has doubled in some areas because of the increased demand for well-paid oilfield workers. Having the housing available on-site, he said, allows the department to recruit workers from far away. They work four days, staying on campus, and then take four days off, returning to their homes and families in San Antonio — more than an hour away — or other South Texas cities. “It’s definitely going to be a recruiting tool,” Ginsel said of the RV park. Department of Criminal Justice spokesman Jason Clark said the agency has plans to build similar sites in other South Texas locations and in West Texas. Clark said the department has also more than doubled its recruiting bonus, offering new officers up to $4,000 if they stay on the job for a year. Since 2012, the department has awarded 1,173 of those bonuses as of January. And prison officials have intensified their recruiting efforts, seeking out military veterans and former department employees, and targeting communities where companies have laid off large numbers of workers. “Recruitment is a top priority for the agency,” Clark said. But even after a 5 percent pay raise from lawmakers, the top salary for a corrections officer is just under $39,000 per year. An entry-level officer makes $29,220. By comparison, a truck driver hauling water to the disposal wells used in the fracking process can earn $1,500 per week or more, about $78,000 per year, according to the Bee County Chamber of Commerce. The working conditions can make matters worse, Lowry said. Most prison units are not air conditioned, and temperatures inside can soar above 100 degrees during the summer. The union recently joined inmates’ rights advocates in a lawsuit against the Louisiana prison system that argues the conditions amount to cruel and unusual punishment. Lowry said his group plans to file a similar action against the Texas Department of Criminal Justice. State Sen. John Whitmire, D-Houston, chairman of the Senate Criminal Justice Committee, said part of the problem is that the prisons are located in remote parts of the state where there are few qualified workers to come by. Among Whitmire’s primary concerns is that the low pay and the agency’s desperation to hire staff could lead to the kind of officer corruption that Lopez warned his recruits about. In November, 14 former officers at the McConnell Unit were sent to federal prison after they were convicted in a racketeering case. The four-year investigation uncovered officers smuggling cellphones and drugs into the prison, where they were sold to inmates. Inmates then used the phones to coordinate crimes outside of prison. While increased pay would help to retain some prison staff, Whitmire said, the long-term solution is one Texas is already working toward: significantly reducing the prison population, which currently stands at about 150,400. Ensuring that prostitutes, the mentally ill, drug addicts and alcoholics find their way to community-based treatment programs instead of prisons, Whitmire said, would save taxpayer dollars and reduce the need for corrections officers. “Compensation would help, but it’s a bigger picture than that,” he said. Despite the reduced staff, Ginsel said, the agency’s main focus is safety for officers, inmates and the small communities where the prisons are located. “The wardens here are passionate about making sure we have safe facilities,” Ginsel said.